At 57, a man/woman is typically expected to be putting plans together for post- retirement age. Some of these strategies must of necessity cover the various ramifications of living good life. A good life entails spending of meaningful times engaging in constructive activities and also getting body and soul well-nourished with nutritional and spiritual values. The above mentioned fact goes to show that the attainment of the age of 57 symbolizes maturity which breeds quality lifestyle made possible by qualitative thinking and externalization of the end- products of such critical thinking. Critical thinking therefore logically takes us to the formulation of what Immanuel Kant the German philosopher calls categorical imperative. In the profound explanation of this Kantian theory presented by the reputable author called Samuel Enoch Stumpf in his classical book on philosophy, Immanuel Kant(1724-1804) stated that: “Unlike the technical and prudential imperatives, which are hypothetical in nature, the truly moral imperative is categorical. “It commands certain conduct immediately, without having any other purpose as a condition. Actually, the categorical imperative commands a law that forms the basis of particular actions. He submitted that it is categorical because it instantly applies to all rational beings, and it is imperative because it is the principle on which we ought to act. Kant had said that “everything in nature works according to the conception of laws. A critical thinker will like to know why this writer makes reference to Immanuel Kant’s moral philosophy in an effort to offer explanation on how a 57 -year old human person ought to behave. The age of 57 as I have earlier sated is that of maturity. So at that matured age, a man is expected to behave in such a manner as to reflect universal human rights’ principles which ultimately makes the world a happier home for the human race. This brief philosophical analogy of a man at 57 done in a somewhat representative capacity is to depict what most critical thinkers expect Nigeria to be at the ripe age of 57, that is the post- independence age. On October 1st 2017, Nigeria will be 57 of post-independence which she got from the then colonial Great Britain. The symbolism of this solemn event of 57th year Independence anniversary should not be allowed to go with the wind of mere colorful celebrations typical with the usual birthday celebratory occasions that are marked with merry making characterized by wild dances and drinking of expensive wines. Arend Lijphart in his widely acclaimed book;”Democracy in plural societies-a comparative exploration”, made a profound statement which is at the core of our national conundrum. Said the aforementioned author:”a great many of the developing countries-particularly those in Asia and Africa, but also some South American countries, such as Guyana, Surinam, and Trinidad-are beset by political problems arising from the deep divisions between segments of their populations and the absence of a unifying consensus”. This writer adopts the statement that the absence of a unifying consensus is at the root of much of the serious human rights abuses that the Country Nigeria has recorded in the last 57 years. This year’s independence anniversary therefore should be a perfect time to extensively reflect on the many unfriendly experiences that millions of Nigerians have undergone these past 57 years especially in the field of human rights. Since independence, successive political leadership including the military despots have made claims that they are specifically focused on creating the right environment for the advancement of human progress and positive values such as the mainstreaming of strict adherence to human rights principles in the governance of the society. Successive administrations in the past half a century and counting, have often made the theoretical claims of setting up institutional mechanisms and enforced far-reaching policies targeted at the advancement of human progress and respect for human rights built around the acceptance that the Rule of law is sacrosanct. Shockingly, it was during the infamous military dictatorship of late General Sani Abacha that a national institution for the promotion and protection of human rights known as the National human rights commission. But essentially, the then military regimes of Generals Abacha and Abdulsalam Abubakar treated the human rights commission as mere smokescreen for laying claim to be a government that was meeting up with the international human rights obligations of all member nations of the United Nations Organization. With the advent of democracy for the third attempt since after independence following the decision of the then General Abdulsalami Abubakar’s regime to transmit power to civilians, the extant constitution came into effect in 1999 with wide ranging human rights provisions and other provisions that brought into existence such bodies like the National Assembly which has the inherent function of making good legislations that ought to build standard democratic institutions and policies to actually and practically promote and protect human rights. The National Assembly since 1999 has successfully created many agencies and also passed legislations to further empower such bodies like the National human rights commission with operational and funding independence. However, the state of human rights in Nigeria is frightening and abysmal. It is a well-known fact that “Human Rights have pervaded much of the political discourse since the second World War”, in the words of Mr. Nowak of the United Nations. He wrote that: “While the struggle for freedom from oppression and misery is probably as old as humanity itself, it was the massive affront to human dignity perpetrated during that war, and the need felt to prevent such horror in the future, which put the human being back at the center and led the codification at the international level of human rights and fundamental freedoms”. Mr. Manfred Nowak who visited Nigeria in 2007 on official duty continued thus: “ The Universal Declaration of Human Rights , adopted by the United Nations General Assembly in 1948, was the first step towards achieving the objective. It is seen as the authoritative interpretation of the term “human rights” in the charter of the United Nations. The Universal Declaration together with the International Covenant on Civil and Political Rights and the International Covenant on Economic, Social and Cultural Rights, both adopted in 1966, constitute what has become known as the International Bill of Human Rights, so argued beautifully by Mr. Nowak. “Thus, the codification of human rights has largely been completed. As the (then) Secretary-General of the United Nations, Mr. Kofi Annan, had pointed out, today’s main challenge is to implement the adopted standards.” (HUMAN RIGHTS-HANDBOOK FOR PARLIAMENTARIANS BY MR. MANFRED NOWAK). Mr. Nowak’s deep thoughts on the essence of human rights offers us a clearer understanding to emphatically state that for constitutional democracy to thrive in any given human society, the respect for the fundamental human rights and basic freedoms must be enforced as of necessity. The Nigerian constitutional democracy which we practice is definitely not in isolation of the universal human right principles and laws. This therefore explains the rationale for the greater portion of the 1999 constitution to specifically focused on the fundamental rights’ provisions enshrined in chapter four. Then again, the Nigerian constitution explicitly makes several provisions in chapter two which covers the various ramifications of the economic and social rights. Chapter two of the Nigerian constitution is rightly titled as : “the fundamental objectives and directive principles of state policy”. It must be pointed out that the fundamental objectives and directive principles of state policy is such an important tool that promotes good governance which is the reason it is embedded in the official oaths of office which all the holders of offices in the three arms of government viz executive, legislative and judicial must be administered before they can assume duties within the context of the laws of federation. This perhaps formed the basis for the recent speech made by the current President Muhammadu Buhari at the just ended United Nations Assembly. President Muhammadu Buhari had in that speech assured the international community of Nigeria’s firm and unshaken commitment to democracy in the country and the African continent. Delivering Nigeria’s national statement during the General Debate of the 72nd Session of United Nations General Assembly (UNGA 72) in New York, the President said this commitment to democratic ideals became profound with Nigeria leading ECOWAS’ effort in the restoration of democratic governance in The Gambia and Cote D’Ivoire. Hear him: “Our faith in democracy remains firm and unshaken. Our regional organization ECOWAS came together to uphold democratic principles in The Gambia – as we had done previously in Cote D’Ivoire,” he said. But with the greatest respect there are existential gaps between those statements made at the United Nations by president Buhari and the realities of our times especially with the issues of respect for the human rights of Nigerians. Infact, the President made his presentation at the United Nations about the same time that empirical evidences were in circulation showing the widespread abuses of human rights committed by armed soldiers who are currently engaged in a highly controversial internal military operations called operation python dance 11 by the Nigeria Army. Video evidences and eye witnesses have it that several unarmed members of the now government’s proscribed Indigenous peoples of Biafra (IPOB) were extra judicially assassinated by the armed soldiers even as torture was frequently applied against captured unarmed members of the self-determination group known to be unarmed and non-violent. Whilst the simultaneous military assaults on civilian population in the South East of Nigeria were going on, the Army unilaterally declared the group known as Indigenous peoples of Biafra (IPOB) seeking an independent self-governing process for the South East of Nigeria and when the illegality of that declaration became notorious, the Federal Attorney General then hurriedly made an exparte application to the Acting Chief judge of Federal High court to secure the proscription of IPOB. IPOB has appealed this exparte declaration which they claim was done out of malice. The aforementioned cases of abominable extralegal killings of IPOB members are not the only main concern of this piece. Members of the Islamic Movement of Nigeria known as Shiites have also suffered massive extralegal executions by the soldiers. Suspects in their thousands have also disappeared from police detention facilities all across Nigeria in the last 57 Years but the last two years are particularly worrisome. Generally speaking, since the last 57 years, Millions of Nigerians have suffered different degress of deprivations and gross human rights violations. Economic deprivations and the rapid collapse of critical health, educational and transportation infrastructures due to corruption by government officials have occasioned thousands of deaths that ordinarily are avoidable. But amidst all the cases of human rights violations, the most disturbing phenomenon is the rapid decline in the respect to the right to life. The right to life as propounded by the constitution is however recklessly disrespected by the government and a range of non-governmental individuals. Daily, social crimes of kidnappings do occur and thousands of Nigerians have perished. On many occasions, armed Fulani herdsmen have unleashed devastating violence and arson on farming communities all across Nigeria but the Nigerian government under President Muhammadu Buhari who incidentally is Fulani by Ethnicity has failed to bring these vicious circle of deaths to an end and to punish these killers. The other day key officials of the current administration defended the government’s double standard in hurriedly declaring the unarmed IPOB as a terror group but simply sees the armed fulani herdsmen as mere criminals and not terrorists. It can then be said that the last two years can be raked as the worst in terms of human rights violations apart from the killings that took place for 30 months in the late 60’s during the Nigeria/Biafra civil war. Over 3 milion Igbo civilians were slaughtered in that needless but necessary war. The last two years has seen Nigeria emerged as a place whereby grave human Rights violations take place. Amnesty International in its 2016/2017 World human rights report indicted the Nigerian government of a range of serious human rights abuses. Amnesty International said: “The Nigerian security forces, led by the military, embarked on a chilling campaign of extrajudicial executions and violence resulting in the deaths of at least 150 peaceful pro-Biafra protesters in the south east of the country, according to an investigation by Amnesty International published”. 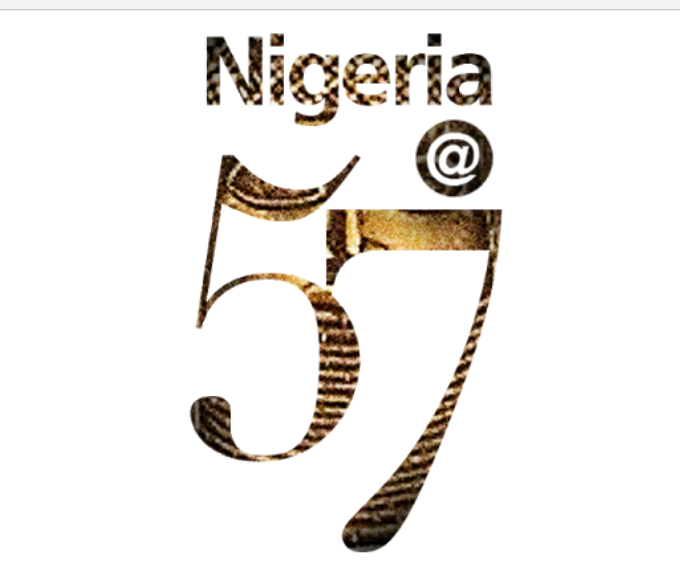 In summary, the human rights record of Nigeria at 57 is abysmal and very poor to put it mildly. The National Assembly has failed the people and has not effectively served as an institutional mechanism to check the excessive brutality of soldiers and police against the civilians. The National Assembly has little consideration for human rights and are basically concerned about passing legislations that can consolidate their stay in political offices. The National Assembly is a partner of the Executive branch of government that has scant regards to allow for the frontiers of respect for human rights to be respected. As i write this piece the House of Representatives is busy churning out anti people’s legislations to stiffle the fundamental human rights of Nigerians to set up Non-governmental organizations. The Judiciary which should act as the last hope of the common man is not performing optimally but the judges are busy dishing out judgments to the highest bidders. Nigeria is ripe for a transformational revolution but the people aren’t in a hurry to even carry out incremental or small scale revolution as they are too poor, too hungry to pursue this noble objectives but do we the people have a choice? I don’t think so. The Nigerian people must wake up to repossess Nigeria and free the Country from the hostile hostage takers and undertakers known as politicians. This can be done by actively minding what goes on in government and by arming themselves with voter’s cards to vote out dubious politicians in the coming polls and safeguard the sanctity of our votes. *Emmanuel Onwubiko is head of the Human Rights Writers Association of Nigeria HURIWA andblogs@www.emmanuelonwubiko.com, www.huriwa@blogspot.com.